BNG Studio is excited to announce the release of three new reproductions of Bryan's most iconic woodcuts. There is only one, rare original print of each of these woodcuts in existence. "Pine Plank II" and "Pine Wedge" were popular pieces in Bryan's past exhibits, but "Wasp Wood" was discovered in the studio and has never been seen before. 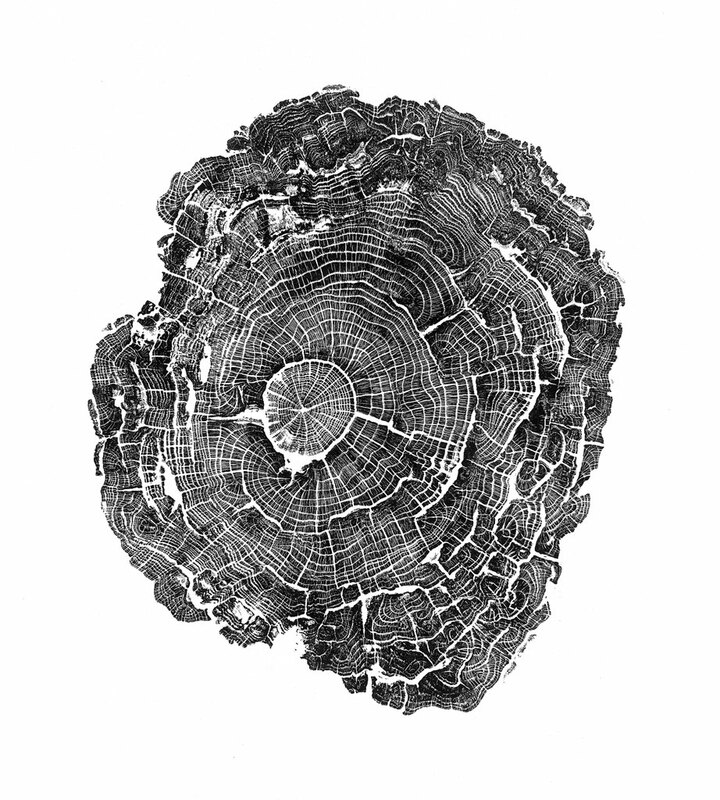 A limited edition run of 100 certified-archival pigment prints for each woodcut is being produced. After they are sold, they will not be produced again. Don't miss this opportunity to bring home a few of Bryan's most rare and stunning woodcuts!